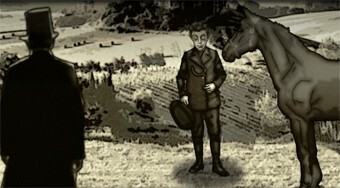 Do you like Forgotten Hill Memento: Run Run Little Horse? Share it with your friends. Forgotten Hill Memento: Run Run Little Horse is another part of the awesome series of horror adventures. In this work you will be transferred to April 1888, when the young boy returned from a ride on his faithful horse named Berry. Father gave the boy a list of things to find and bring him home. Find all the things you want from the list that the father needs for a horror ritual.